Xiaomi Redmi Note 5 certified by Chinese 3C authority as well - Playfuldroid! Yesterday, a set of alleged specs of the Redmi Note 5 and Redmi Note 5 Pro had been leaked along with a leaked image of the latter handset which revealed an iPhone X-like dual-camera setup on its rear chassis. 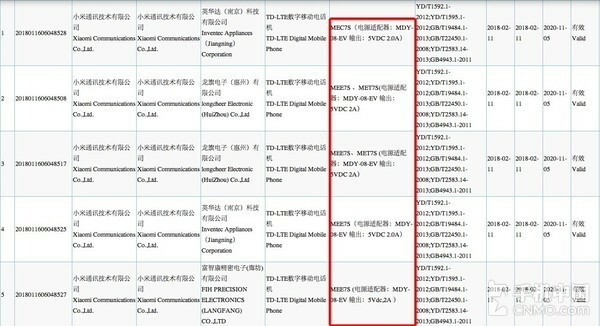 Right now, the pair of smartphones had also been certified by the Chinese 3C authority according to new reports out of China. If nothing goes wrong, the duo could be announced as early as late February this month or in early March. 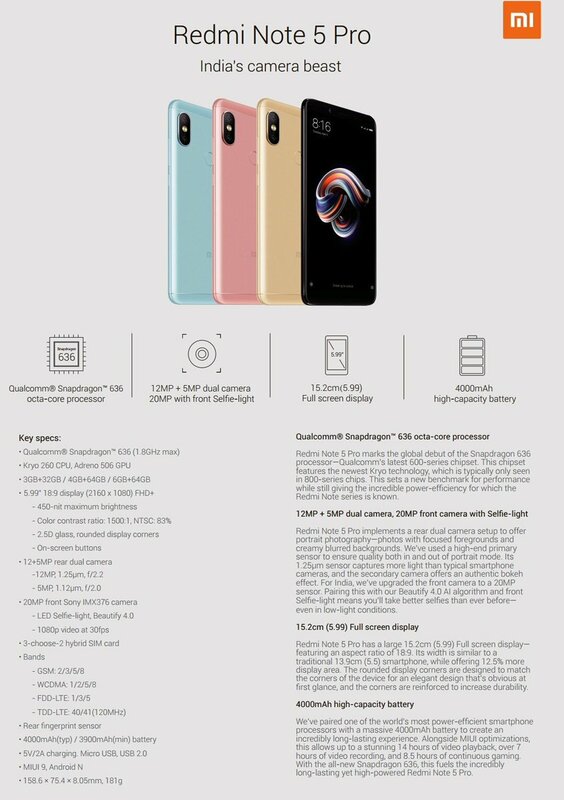 For the benefits of those who’d missed out, below is the alleged key specs of the upcoming Redmi Note 5 and Note 5 Pro. The Xiaomi Redmi Note 5 features a 5.99-inch FHD+ display that is protected by 2.5D curved glass. The device will be powered by a Snapdragon 625 SoC and is expected to arrive in two different variants with the entry-level model sporting a 3GB+32GB memory configuration as well as a higher-end model with 4GB+64GB setup. Camera-wise, it has a rear snapper of 12 megapixesl and an LED enabled 5 megapixels front-facing camera . It includes a 4,000mAh battery and comes with usual connectivity features. The Xiaomi Redmi Note 5 Pro on the other hand, will be coming with a greatly buffed up specs and features. First and foremost, the device features a 5.99-inch FHD+ display which is driven by a Snapdragon 636 SoC. 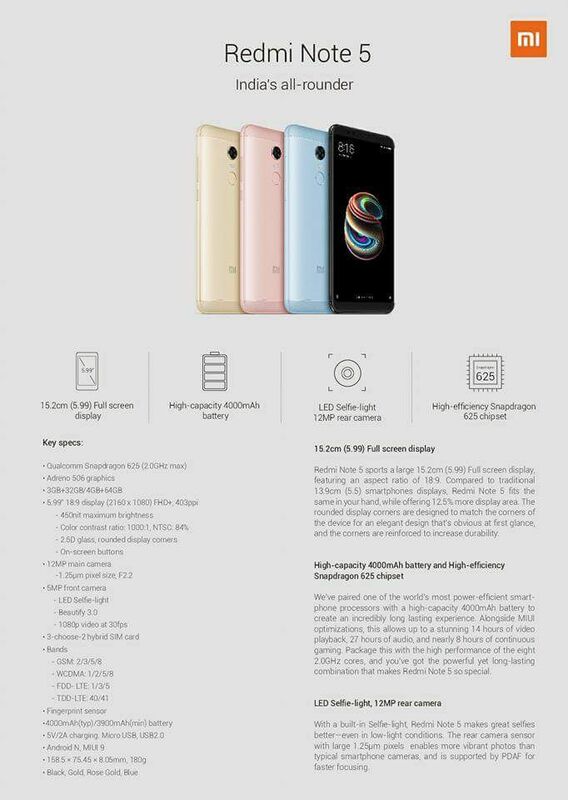 The device is expected to arrive in 3 different models with different memory configurations as follow: 3 GB RAM + 32 GB storage, 4 GB RAM + 64 GB storage and 6 GB RAM + 64 GB storage. Camera-wise, the device comes with a horizontally-aligned 12+5MP dual main snappers at the back, as well as a 20 megapixels front-facing selfie cam. To keep its lights on, there will also be a 4,000mAh non-removable battery available under the hood.